Mix 10 lbs. Salt Buddy with 100 lbs. 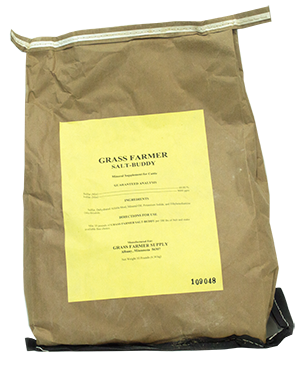 salt and feed free choice during fly season. For daily use, mix 11 lbs. Salt Buddy with 200-250 lbs. salt.